It’s that time of year again…time to rank the top 10 shows of 2008. Of course, the usual caveat: this only includes shows which I watched, which this year was only about 20, so it was a kind of slow year for me. Nevertheless, this list still boasts a pretty impressive list of shows. Isn’t it every boy’s dream to have easy access to a female body? Well, Tsutomu in theory is living that dream, except the girl is in control of the body because she accidentally destroyed his. Oops! What results is a mix of action and comedy which is pretty well executed all told, with Tsutomu frequently getting freaked out by Birdy’s alien ways. Two things held this series back: animation, which wasn’t exactly top-notch, and the fact that, after Tsutomu gets his body back, they find away in the end to make him and Birdy share bodies again. I guess Tsutomu just thinks that he can be immortal as long as Birdy is there to absorb him whenever he takes a notion to destroy his body. The one minus that this sets up is that it implies that the gimmick of them changing bodies is the only real draw of the show, and the writer’s belief that they can’t have a successful show without that gimmick. I’m not sure that bodes well for the second season, but that doesn’t necessarily impact this season all that much. Kurenai ekes into the top 10 list by doing a reasonably good job at two things: writing and animation. Perhaps the best part of this series is watching the struggle and growth of the characters as they have to adapt to new environments, particularly Shinkuro, who is trying to find his true strength, and Murasaki, who has to adapt to living out in the “real world” now, all while having a powerful family chasing after them. However, this show has a few weaknesses as well. First, the show’s conclusion in a sense made a compromise with the devil – accommodating an evil family which probably shouldn’t be accommodated in the least, taking the air out of a lot of what everyone was fighting for and protecting throughout the show. Second, I think overall this series, despite it’s overall good writing, missed some chances to turn Kurenai from simply a good series into a great series. The theme music, particularly the opening theme, also didn’t seem to match the show at all and just seemed kind of weird. However, overall it was still a pretty good show. The mantle of “Otaku Show of the Year” probably goes out to The Secret of Haruka Nogizaka this year as there are anime references galore, as well as every otaku’s dream: A girl otaku. A hot girl otaku. A hot, popular girl otaku. A hot, popular girl otaku who likes you because you don’t shun her once you discover her secret of being an otaku. A hot, popular girl otaku who likes you because you don’t shun her once you discover her secret of being an otaku and who likes to cosplay as Shana. I mean, can it get any better than that? I guess one of the nice things about this show, as opposed to something like, say, Lucky Star, is “normal people can be otaku too.” However outwardly odd Konota is in Lucky Star is how outwardly normal Haruka is in Secret. Yes, she illicitly sneaks off to Akihabara every now and then, but overall she’s your normal high schooler. Of course, the series is also hilarious on top of all of this too. The main problem is that it’s a little thin in the plot department, but given that the purpose of this series is to have fun, and I had fun watching it, it goes into the top 10 list. The conclusion of Shion no Ou dealt with the big shogi tournament being sponsored by Satoru, Hani-meijin’s brother, from the start of the final state of the tournament where the 9 bracket winners plus 3 of the bracket runner-ups face off in a 12-person bracket to determine the winner of the tournament. As a result, a few of the games played last through multiple episodes, but the writers are able to keep the show interesting nevertheless. Increasing the attention on solving the mystery of who solved Shion’s parents just adds more intrigue into the show as well. The main weakness of this show is that, if watching people play shogi bores you to death, then this show may not be for you, as a lot of time is spent with the characters playing. I thought that the show did a pretty good job keeping the episodes interesting despite this, but I can easily see if people disagree with that. However, overall I thought the conclusion to Shion was pretty well executed. I should note before starting: fansubs have only come out for 20 of 22 episodes. However, I felt that it was complete enough that I could put it in the rankings. Having said that, Nijuu Mensou is a show with a very good premise and animation. It’s set in the mid-20th century – an era which you don’t see a lot of anime shows set in, so it is unusual in that aspect. And Twenty Faces himself makes this series pretty compelling, to say nothing about Chiko, his all-but-adoptive daughter and title character. Two things keep Nijuu Mensou from being a truly great show however: reuse of the “OMG Twenty Faces died! Oh, nevermind!” gimmick probably one too many times, and the fact that the series goes into stranger territory than I was expecting for the show. Nevertheless, Nijuu Mensou still puts together a very solid performance. Soul Eater is a very fascinating show. It’s quite different from just about anything else, yet Bones is able to pull it off pretty well. However, the thing that really drives Soul Eater is the wealth of unique characters. While some of the character development is a little odd (Maka and Soul don’t seem to be very powerful for a pair to have almost created a Death Scythe – especially with only six Death Scythes existing the world, suggesting that it’s a very hard thing to accomplish), it is generally pretty good. All three pairs are compelling in their own unique ways. If I have one beef with this series (actually two), it’s that it veered off it’s original premise – gathering 99 kishin eggs and one witch’s soul – pretty quickly, and it has a bad habit of drawing things out to death (how many episodes did it take to get through the battle at Shibusen, anyway?) However, all told, Soul Eater still puts in a very solid performance. For the second straight year, CLANNAD comes in at #4 in the list. Since the first series of CLANNAD exited it’s “four-episodes-an-arc” mode and got more into mixing arcs or telling an overarching story, and since we got into CLANNAD: After Story which, until the lastest episodes, centered around more minor characters, this series has fallen in favor a little bit (though obviously not very much). CLANNAD is still very much the class of both 2007 and 2008, and presumably will contend for a top spot on this list in 2009 as well. We might not be in arcs for the main girls, but the storytelling is still pretty good, if not a little slow going at this point, which is why it only comes in 4th on the list. The choice between 2nd and 3rd was very close, and I think the fact that Toradora was in it’s first half while the 2nd placing show was in it’s concluding half was the main reason why Toradora came in at #3. Toradora is a very, very good show – one which I think may challenge for the #1 spot in 2009 if they keep up what they’re doing in the first half into the 2nd half of the show. While Toradora has a somewhat familiar flavor – it is, afterall, essentially a slice-of-life harem show – there is still something about it and (especially) it’s characters which makes it different, and a lot better than shows that it might be compared to. It pulls off good drama and comedy almost simultaneously and still gets in some good character exploration and storytelling to boot. The first half of this show didn’t even grace the top 10 list in 2007, just to show how far it came in the second half of the series. We started with Pheles, then moved to Sabrac, then on to the Bal Masqué’s ultimate plan at the end. There was hardly time to breathe and Shana and friends moved from one major confrontation to the next, making the second half of Shakugan no Shana II one of the best action shows in quite a while, not just 2008. Improving on it’s sibling’s 3rd place finish last year, ef – a tale of melodies was nothing short of epic. And to think that 40% of this show (the Kuze/Mizuki arc) was pretty dull, that just shows how good the other 60% of the show (the Yuu/Yuuko) arc was. If the entire show was just that arc, ef – a tale of melodies would not only contend for best show of 2008, but also perhaps for best show, period. This show had (almost) everything – romance, drama, shocking plot twists, and more. You almost couldn’t help but me drawn into the show. And the fact that the show isn’t afraid to put your heart at ease, only to tear it out in the next episode just makes this show all that much better. 12 Moments of Anime Day 7 – Game to the Death? Yet another under appreciated series in 2008 (though it started in 2007) was the shogi-themed series Shion no Ou (or Shion’s King). While this show is packed with shogi, it is also a murder mystery about who killed Shion’s parents when she was little. The series feeds you little pieces here and there, including events and information to throw you off the scent of the real killer (though I figured it out pretty early, though not without reservations). 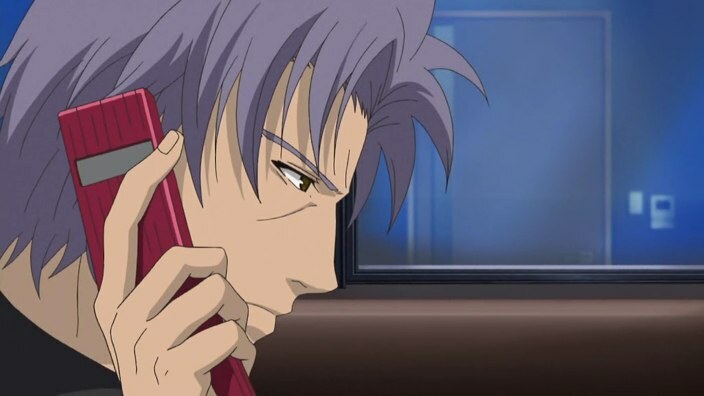 The final three episodes of the series were all dedicated to the final match between Shion and the current Meijin Makoto Hani. The intensity in the match, and the revelations made during it, made these episodes perhaps one of the more interesting conclusions to a series in 2008. It makes you wonder how writers can make something like playing a shogi match into an interesting episode (or episodes) of anime. As a result, Shion episodes 20 – 22 are included in the 12 Moments of Anime. Shion no Ou – literally Shion’s King – is about a girl, Shion, who plays shogi with the support and encouragement of her adoptive father Shinji. When Shion was little, both of her parents were murdered in front of her eyes, and then the murderer proceeded to play Shion in a game of shogi before leaving. However, the murder remained unsolved. On top of this, the shock of the murder, plus the words of the murderer telling Shion that as long as she doesn’t speak, she’ll stay alive, causes Shion to stop talking completely. After the murders, Shion is adopted by Shinji and Sachiko Yasuoka, who were neighbors of Shion’s. Shinji, who is a pro shogi player, helps train Shion to the point where she is exceptionally skilled for her age. Now in middle school, Shion plays shogi along with her rivals, Saori, who is the apprentice of Makoto Hani, the meijin, or top player, of the shogi world, as well as Ayumi, an androgynous boy who dresses as a girl so that he may more easily win tournaments and the prize money that comes along with that so that he can pay his mother’s medical bills. 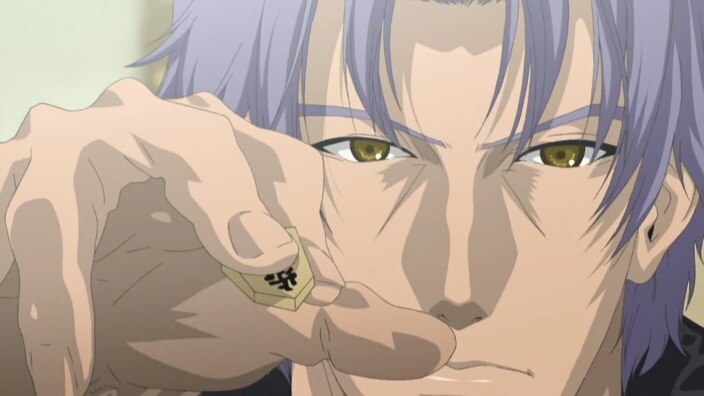 In the meantime, the Hani-meijin’s younger brother Satoru, who has become wealthy through possibly questionable means, starts organizing a tournament which will allow anyone who wants to play to register, causing Shion to believe that her parents murderer may decide to register to play for the large prize that goes to the winner. Shion no Ou is a show centered around shogi, but it is written in a way which requires minimal understanding of shogi to understand, which is nice. The mystery behind Shion and her parent’s murder unfolds slowly and methodically over time, doing so in a way which may implicate one of many different characters, even until very deep into the series. I would have to say that the writing is definitely the star of this show as it keeps you intrigued as to where the murder investigation is heading and makes the shogi matches rather exciting, even if you have no knowledge of the game. The only real negative to the series is that it may be a bit too drawn out, but new revelations and suspicions that pop up over the course of the series help alleviate that. The animation can be rather variable between some episodes, but is overall pretty good. The music is also good, especially during the shogi sequences. If you’re not afraid of watching a series based around a game which one may not really understand, and you’re looking for a good mystery series, I definitely suggest checking Shion no Ou out. It’s Episode 22 of Shion no Ō, the final episode. What will happen to Shion, Hani-Meijin, and Ayumi as the truth is finally revealed to everyone? It’s Shion no Ō episode 20 as we are slowly, but surely inching towards the conclusion. Shion and Hani-meijin’s match is set to begin while both Satoru and the lead detective investigating the case of Shion’s parents’ murder try to get a definitive answer to the biggest question of all: who committed the murders. It’s episode 19 of Shion no Ō. Detective Yokoyama hits yet another dead end in trying to find Shion parent’s murderer, but are signs starting to point away form Satoru and towards his brother instead? Meanwhile, Satoru starts investigating the murder himself, and is shocked about what he finds. It’s episode 18 of Shion no Ō. Shion and Satoru finish their match, but who will win? And will Satoru finally be able to get past all the troubles in his past? It’s episode 17 of Shion no Ō. Shion and Satoru start their rematch, and Satoru continues his mental assault on Shion. 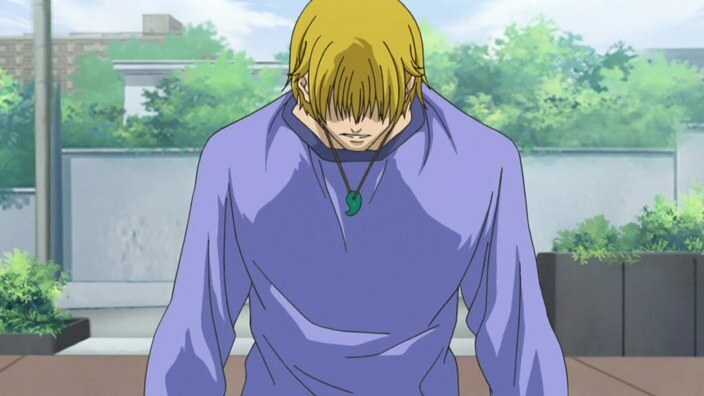 However, this time it causes Shion to remember back 8 years to around the time of the murder. Is she starting to remember what happened that terrible night 8 years ago? Meanwhile, what connection is there between Satoru’s old lover and Shion’s parents?